You’re ready to sell your house. Good thing you’re a real estate agent. You can represent yourself—and maybe the buyer, too (depending on your state)—streamline the process, and make more money. But before you do, understand the risks of a real estate lawsuit in a dual agent situation when you are selling your own property. CRES Risk Management fielded a call from one of our clients who was acting as dual agent selling his own home. He was having difficulty with the buyer and wanted to charge her for delaying escrow. However, Risk Management reminded the client of his fiduciary responsibility to the buyer as her representing agent. The client ended up canceling escrow, returning all the money—and avoiding the likelihood of a lawsuit. If you’ve thought about selling your own property and acting as a dual agent, here’s food for thought. 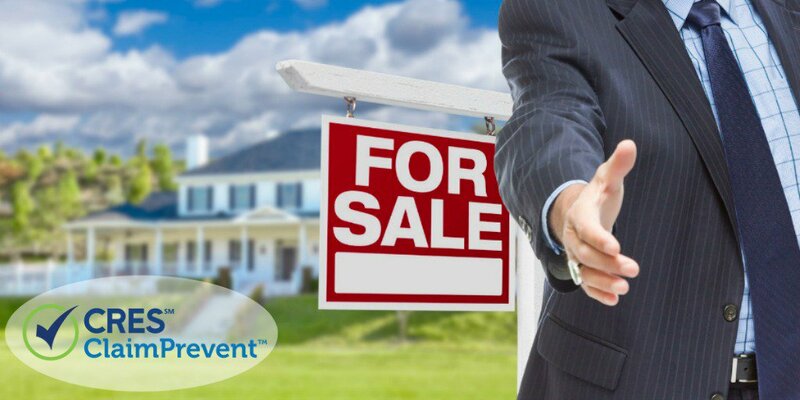 Being a dual agent (representing yourself and the buyer) in the sale of your own property is not an enviable situation. You know that both buyers and sellers have rights in a real estate sale. And a dual agent seller of his own property has the same rights as the seller represented by his or her own real estate agent. That is, the seller agent doesn’t give up rights that a seller would normally have. So what’s the problem? When the seller agent is also representing the buyer, the selling agent has a fiduciary duty to the buyer. This means that the seller fiduciary must be doubly careful not to take advantage of the buyer client, even unintentionally, in the transaction where the agent is a seller representing himself. This fiduciary responsibility makes being a dual agent in any transaction challenging. And representing the buyer in the purchase of your own property is even harder. If you’re thinking that you are up to that challenge, you should also know that the chances of a real estate lawsuit are high in this situation. If you are a dual agent for the sale of your own property, and the buyer has issues with the property post close, you will be sued. You are the seller and the fiduciary for the buyer where you have an inherent conflict of interest in the transaction. Bottom line, think twice about being a dual agent selling your own property. If you get into a tricky situation, call the ClaimPrevent® Legal Hotline, available to CRES E&O clients 7 days a week, before you increase your risk of getting sued. Have you sold your own property before? What challenges did you face?